We announced our new game, What Remains of Edith Finch, at Sony’s PlayStation Experience event last December but haven’t said much about it since. It’s come a long way in the last 6 months and we’re finally at a point where we’re ready to start talking about (and showing!) more of it. At E3 this year we’ll be demoing the beginning of the game and our first story. Today we’re releasing our first screenshots along with a new trailer. It’s hard to sum up the game in a screenshot because the game is a collection of short stories. Each of those stories is about the death of a different Finch family member and each is meant to look and feel different from the others, the way no two people in any family are alike. Which is why to start with we’re focusing a lot on the Finch family house where the game begins. As Edith, players will be exploring this house and eventually unlocking bedrooms for all the various family members. Inside each bedroom is something that tells a story about that person’s life (like a diary, or a collection of photos, etc). The Finch family house, by the way, is crazy. The family has been living here for the last hundred years and each generation adds on to it. By the time Edith arrives the house is an enormous artifact influenced by a range of eccentric, stubborn folks. Hopefully it’s also a place that comes across as believable and familiar. Our goal has been to make the house feel fantastical but at the same time like it was all made out of stuff you could buy at Home Depot. 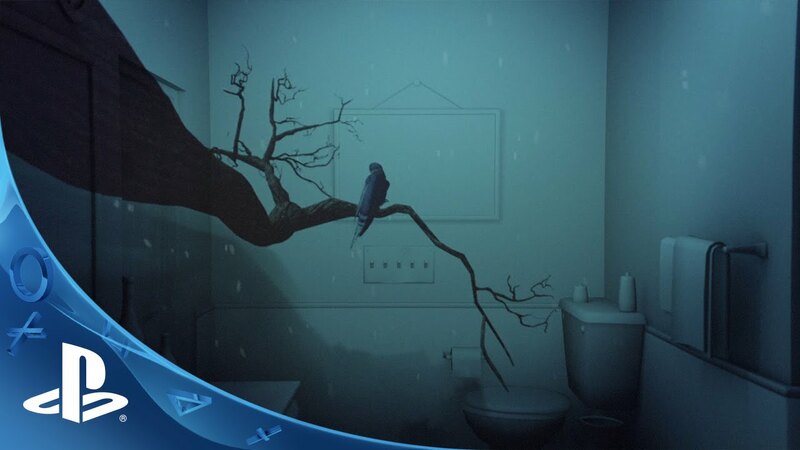 And that’s the game in a nutshell: a surreal experience that’s grounded in a familiar world. The deaths in each of the stories are a little bizarre but the really strange thing is death itself. The house is both a monument to the people who have died and a record of how the family reacted to those deaths. Where the short stories focus on individuals, the house is the story of the family as a whole, told through architecture. Hope you enjoy your first look inside the house! Still very interested in this game. I love exploration games but I’m curious about the gameplay. Really looking forward to seeing more about the game soon! These are the kind of indie games I want! Not SNES games. Very excited. Hurry up E3!! So, in playing Ether One now (since the obviously-rushed-to-meet-plus-deadline game got its huge patch) and it seems very similar to this. You basically just walk around and sometimes solve little puzzles. There’s a story, and lots of little stories. But guess what’s? They’re all BORING. I really hope you guys didn’t go the same route. I don’t want to know about ordinary everyday events in these people’s lives. I want some weird or crazy stories! When you are telling your friends a story, is it about going to the grocery store, or about some evil experiments you were subjected to? If there isn’t any action to be had in the walking simulator game, I NEED some in the story. You should play Dear Esther. It has loads of huge explosions, firefights, martial arts type combat, cliffhangers, and suspense! Morpheus compatible, I’m sure of it. I really enjoyed The Unfinished Swan so I’m looking forward to what you guys will do with this! I forgot this is a Giant Sparrow project. If The Unfinished Swan is any indication, this is going to be one of the best and most important games/experiences of this generation. Move over, tgc, a new king has been crowned. Enjoyed Unfinished Swan. First I’ve heard of this. Looks intriguing, I’m in! Definitely a game I want to own. I remember this game…nice Santa Monica is involved ha thats beyond great news.Looking forward to see more about this game,I know it’ll turn out as good game. Also I didn’t noticed but by the comments you guys are the devs of Unfinished Swan hu…damn this game is already great then. No physical release – no sale. This post is kinda funny. Definitely my style of game. Looks awesome, can’t wait! Sounds like an interesting tale. But not seeing any gameplay will there be a movie? After GS’s Unfinished Swan, I’ll take every next project by you guys. Amazing experiences brought by Playstation. The game looks awesome guys.